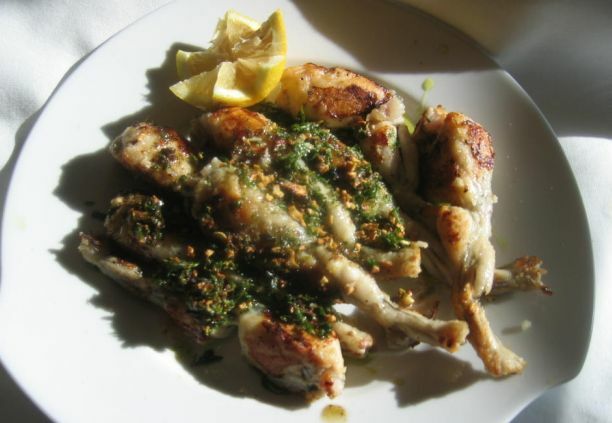 Frogs' legs are one of the better-known delicacies of French and Chinese cuisine. 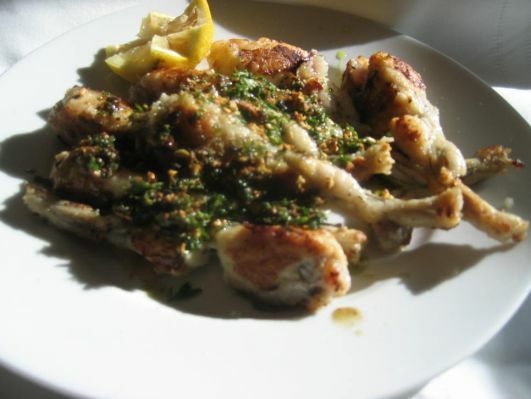 Frogs' Legs is definitely not a popular dish in the U.S. In France this is a classic that you can find on the menu in a lot of Bistros or Mom and Pop's restaurants. I am thankful that Frogs' legs is also a Chinese delicacy and they can be found in most of the Asian supermarkets in the frozen section. I have seen 99 Ranch Market sell live frogs but I would be too scare to kill and de-skinned them! Frozen is perfect for me. 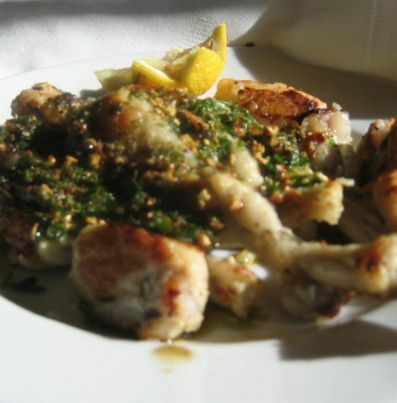 Don't believe people when they said that Frogs' legs taste just like chicken. Not even close! they taste like frog's meat. The texture of Frog's is a delicate taste unique to Frog's leg. Here it is cooked with butter, garlic and parsley. You definitely can not go wrong with this combination. This dish can also be served as appetizers! Seasoning the frogs' legs with salt and pepper. 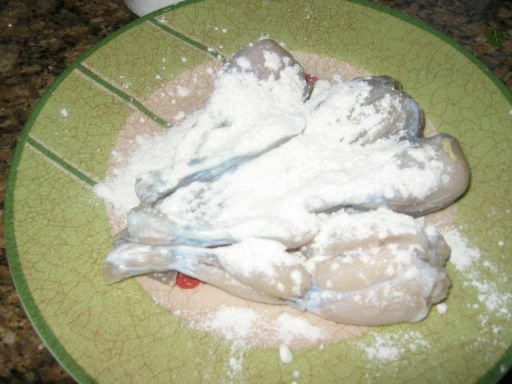 Dusting the frogs' legs with flour. 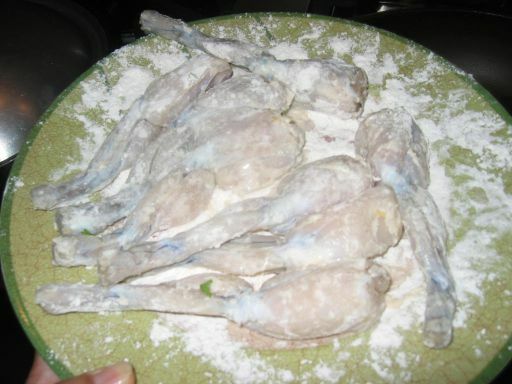 The frogs' Leg is well dredged into the flour and ready to go into a hot pan with butter and oil. 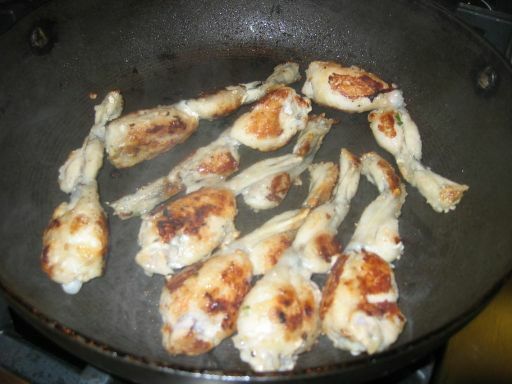 The frogs' legs are sautéed until golden brown, for approximately 3 to 4 minutes and then put aside. 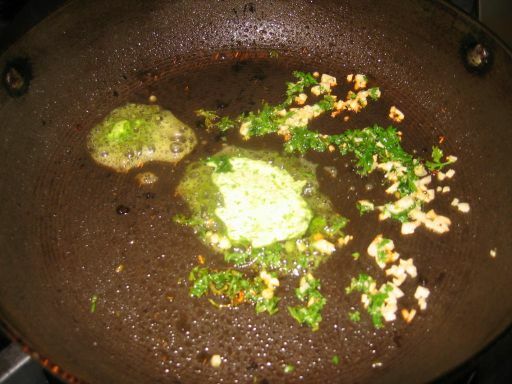 Garlic and parsley and butter are added to the pan until completed melted. 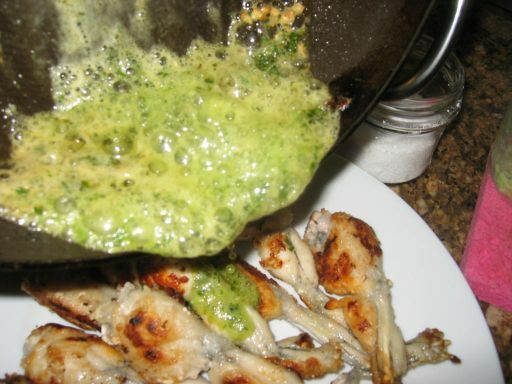 The garlic, butter, parleys mixture is then poured on top of cooked frogs' legs.